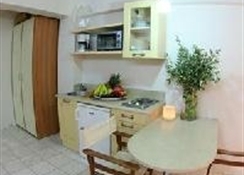 Golden Bay Studios is located 150 m from the sandy beach. 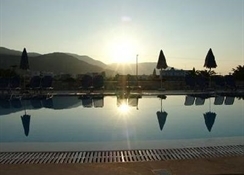 The closest city to the hotel is Malia (800 m). 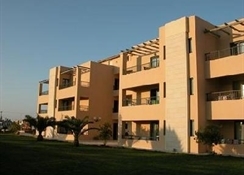 Located in Malia, the hotel offers 43 rooms and was renovated in 2010, air conditioning and an elevator are available. To make your stay more comfortable a lobby and a reception are available. The staff in this 2 storey hotel speaks English and German. The hotel features a fresh water swimming pool. Sunshades and sunbeds are available for an additional fee at the beach and free of charge at the pool. 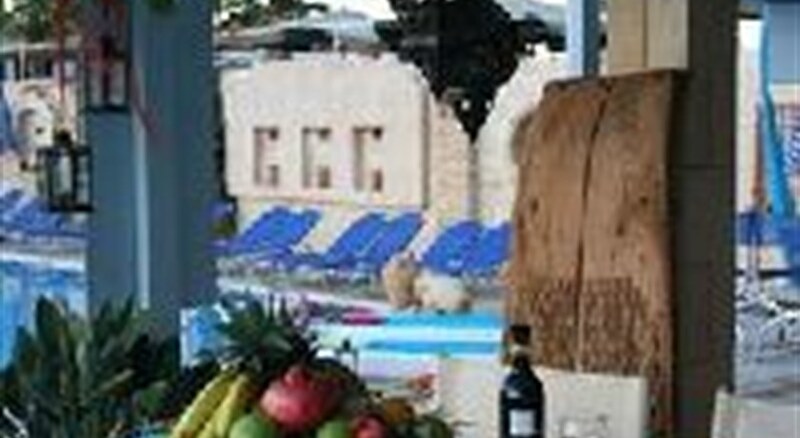 The hotel is within easy reach of bars and restaurants, disco, bus stops, tourist information and supermarkets. Distance from the hotel to: airport HER (30 km). Vehicles may be parked in the parking lot. For convenience the following services are offered: wake-up service. Internet access is provided at wifi-hotspots. Reception hours: 09:00 - 00:00. Breakfast is provided in the following variations: Continental, Buffet. The hotel has one restaurant. Golfers have the opportunity to play at the nearest golf course which is 6 km from the hotel.